Wood Chip Mulch Cobble Hill | Bark Mulch | Central Landscape Supplies Ltd. Considering the mulch option for landscaping your lawn? Well, it is by far the most popular decorative landscape cover. Central Landscape Supplies Ltd. can provide you with the bark and wood chip mulch you need in Cobble Hill and the surrounding area. Bark mulch comes in different varieties and colors. Some varieties are dyed while others come in natural hues. You must consider a few factors before you invest in mulch for landscaping your open space. The most important issue with mulch is if adding it has any impact on the soil pH. Soil pH can affect plant growth, and it is reasonable to think that mulch can cause changes to the pH balance. Accepted research shows that mulch decomposition does not affect the acidity of the soil in any way. However landscaping experts at Central Landscape Supplies Ltd. recommend alternating in between ‘sour’ and ‘sweet’ mulch material anyways to avoid any negative impact on the soil or plants. In fact, spreading bark mulch around garden beds and shrubs is a pesticide-free way to depress weed growth and deter insects. Adding mulch around shrubbery does a great job retaining moisture, allowing you to conserve water so you can enjoy your beautiful landscape. Bark mulch is highly recommended. It provides a rich dark colouring to your garden or yards landscaping. 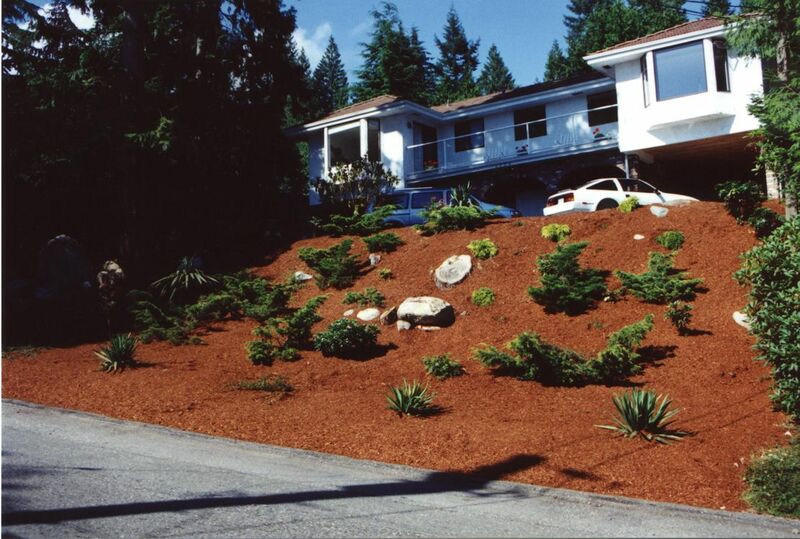 At Central Landscape Supplies Ltd., our mulch consists of fir and hemlock, resulting in a medium to dark reddish brown colour and comes in fine or course grades. Good quality mulch such as our keeps the soil beneath cool and moist, so it protects the roots and reduces the need for watering the plants too often! Contact us today to talk to our knowledgeable staff. Start your landscaping project today. We have all the supplies you need.